September is always a busy month in the world video and cinematography. 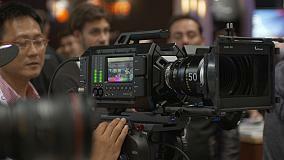 IBC 2014 featured a range of new cameras on-show and updates to existing camera technology. The 4K Sony PXW-FS7 caused quite a stir, the reverberations continue well beyond IBC. Blackmagic Design had plenty of Ursa's for user hands-on, and there were plenty of attendees checking these out. Also PL versions of the Production Camera 4K and the Blackmagic Ciinema Camera were announced. AJA Cion looked impressive on-show with equally impressive footage. JVC showed their range of upcoming 4K cameras, hopefully these are not too far away. And there are other new models to get excited about: the Panasonic HC-X1000 ULTRA HD 4K camcorder, Panasonic VariCam 35, and more models from Sony with the A7S and PXW-X200 (the replacement for the PMW-200.) As if that isn't already a mountain of cameras, Arri drops a bombshell with the Alexa 65 - the rental only 6.5K 65mm large format cinema camera. So many new models in the changing cinematography landscape. At the heart of the storm lies tremendous choice at all sorts of price points. If you're in the market for camera equipment now is a great time to go shopping. Just make sure the glass you buy matches the quality of the camera. Buy good glass! Blackmagic Design have announced its acquisition of eyeon Software, Inc., a leading developer of high end digital compositing, visual effects and motion graphics software for the feature film, commercial, television and broadcast industries. 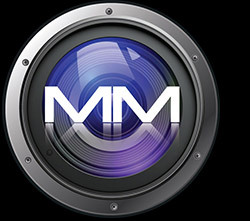 eyeon, headquartered in Toronto, Canada, is now a wholly owned subsidiary of Blackmagic Design. Blackmagic Design have announced the immediate availability of two new cinema cameras, the Blackmagic Production Camera 4K PL and Blackmagic Cinema Camera PL. Both cameras now include PL mount models for using professional cinema lenses or even vintage cinema lenses and are now available from $2,295. Sonys newest addition to its large sensor line is a complete camera system that delivers long-form recording capabilities with 4K resolution in a compact, hand-held design. The new PXW-FS7 XDCAM Super 35 camcorder combines the flexibility of native E-mount technology, the recording efficiency of the XAVC-L codec; the transfer speed and intelligence of XQD memory cards; and comfortable, handheld ergonomics, including a new Smart Grip. Canon U.S.A., Inc., a leader in digital imaging solutions, is proud to introduce the EOS 7D Mark II Digital SLR camera, incorporating professional features and quality in an affordable DSLR. Blackmagic Design have announced SmartView 4K, the worlds first full resolution Ultra HD broadcast monitor with 12G-SDI inputs for compatibility with virtually all SD, HD and Ultra HD formats up to 2160p60 for only US$1,995. Atomos is known for delivering creative solutions to real world professional production and post production problems. Atomos now enters the battery market with what is the most advanced power management offering in decades. At IBC 2014 JVC has been demonstrating a prototype of its new GY-LS300 Super 35mm sensor 4K handheld production camera, along with a number of 4K technology design concepts. AJA Video Systems released a brand new teaser reel shot using the soon-to-be-shipping CION camera in Grass Valley and Nevada City California. Shooting took place over three days during the first week of September 2014.
mTape Extreme is a 2U rack-mount backup/archiving solution offering unparalleled capacity and performance. mTape Extreme fuses the latest in enterprise class digital tape technology with the ease of use of LTFS. Panasonic has launched the HC-X1000, its first prosumer camcorder capable of recording 4K 60p/50p video images on an SD card. A new software upgrade for ARRIs documentary-style AMIRA camera will allow it to record ProRes UHD files, answering the 4K requirements of some productions. 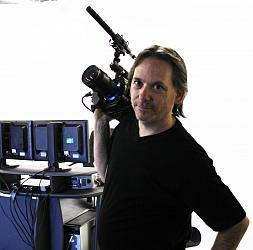 The upgrade is expected to be available for purchase at the online ARRI License Shop by the end of 2014. Convergent Design has announced that the Odyssey7Q monitor/recorder will add 4K video recording with Apple ProRes 422 HQ. 4K and Ultra HD video from cameras such as the Sony F55, Panasonic GH4, Vision Research Phantom Flex4K, and others can be converted to ProRes and recorded on the Odyssey7Q. With the Blackmagic Pocket Cinema Camera and Retroflex, from Redrock Micro, you can run and gun, you can shoot handheld, you can check critical focus (even in bright sunlight.) Overall the Retroflex dramatically improves the useability fo the Pocket Cinema Camera. This is definitely not a gimmick. "With 12 SDI channels, our new products give OEMs a unique 4K broadcast CG solution with support for live input, graphics compositing, and 4K fill and key outputs on a single card," said Alberto Cieri, senior director of sales and marketing, Matrox Video. You can well and truly edit on an 11 inch MacBook Air. I flew from London to Australia, with a desperate deadline hanging over my head. I managed to cut several hours of interviews down to a manageable level, working on the 11 inch MacBook Air and Final Cut Pro X. By the time I landed, some 24 hours later, I'd pretty much cleared the decks of a major piece of work. Not 100% completed, but well underway. Blackmagic Design have announced that Blackmagic Cinema Cameras EF were used to capture complex action sequences in the new film The Expendables 3. Second Unit DP Paul Hughen, ASC, placed the cameras directly in the action in order to get incredible shots, including exciting scenes of car races, intricate boat chases and large scale action sequences. The RackMac Pro ships in two configurations. The first configuration is available with a single RackMac Pro Computer Mounting Module preinstalled, leaving space for an optional second Computer Mounting Module, available for purchase separately. The second configuration ships with two Computer Mounting Modules preinstalled and ready to accommodate two Mac Pro computers. With the latest blitz on camera technology many will be considering their next move. What to buy, how to allocate financial resources, what new direction will propel our work into new realms to excite both ourselves and our clients! The bottom line is nothing out there is going to do it. The equipment is just equipment. Yes there is remarkable gear from 4K to RAW and beyond. Yes, the equipment does matter - though only to a point. Regardless of what you use - how you use the equipment to tell your story is far more important than which equipment you use. Work with what you've got - or buy what you want, then set about the task of movie making. Sometimes upgrading equipment doesn't always involve buying new cameras. Lights, mics, lenses, external recorders, grip equipment - so many ways to improve your filmmaking beyond the camera. Some of us have been doing this a long time. And it just keeps getting better and better.